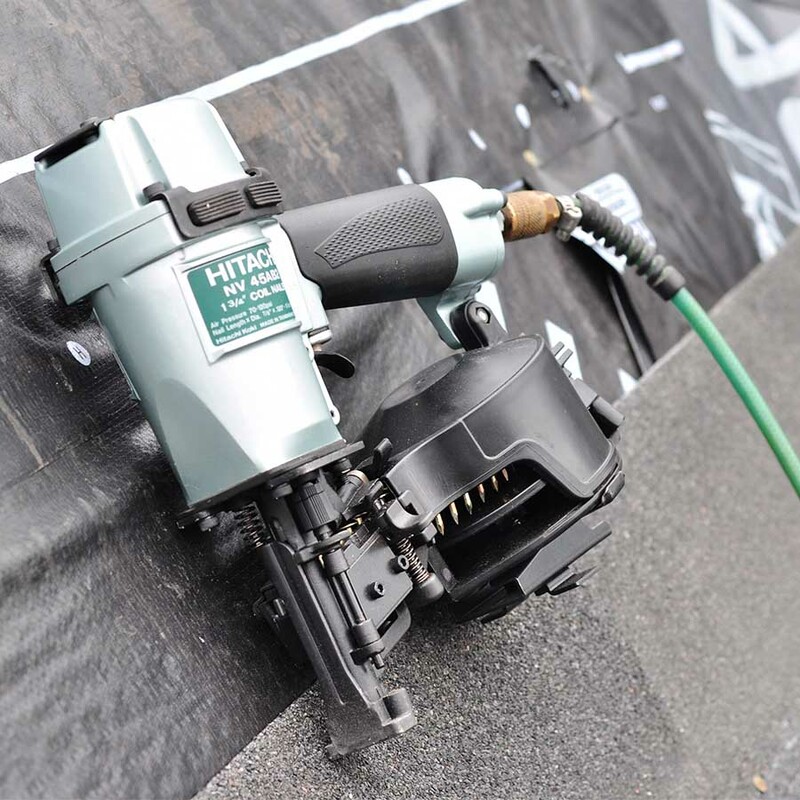 The Hitachi Coil Roofing Nailer is a powerful, pneumatic roofing nailer that is used for various construction works, such as installing asphalt shingles and insulation boards. 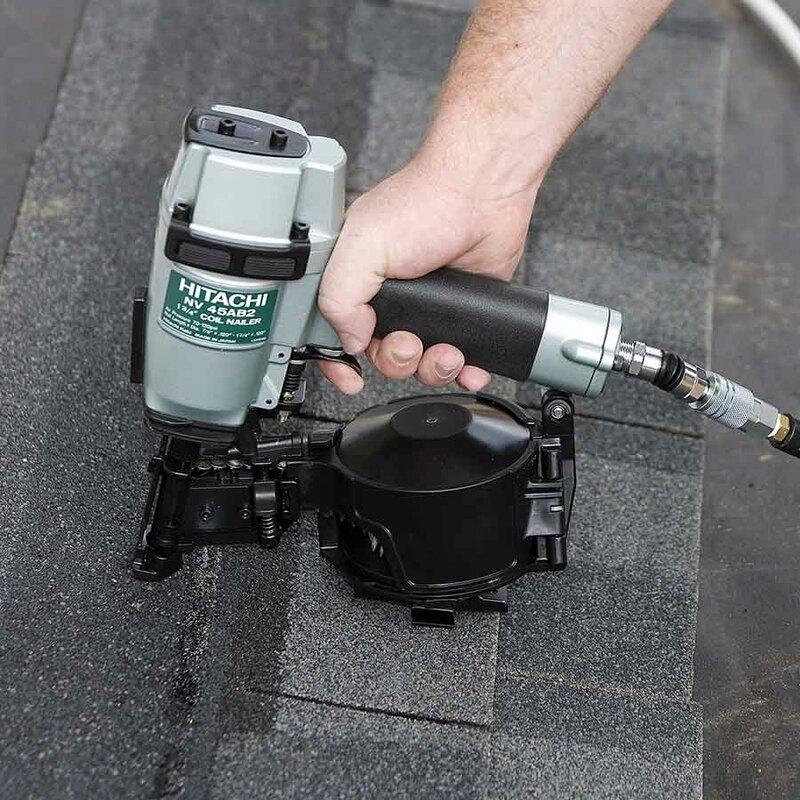 It consists of a side loading magazine, allowing for convenient and easy replenishment of up to 120 coil roofing nails. 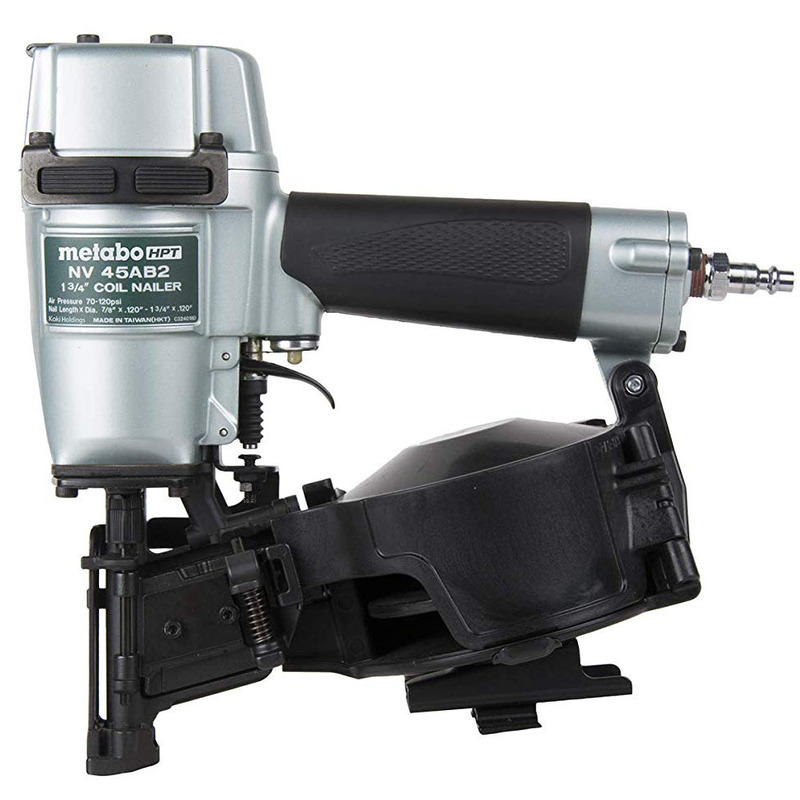 This air powered roofing nailer from Hitachi has a long-lasting rubber grip for added comfort and comes with safety glasses and the magazine shingle guide assembly.